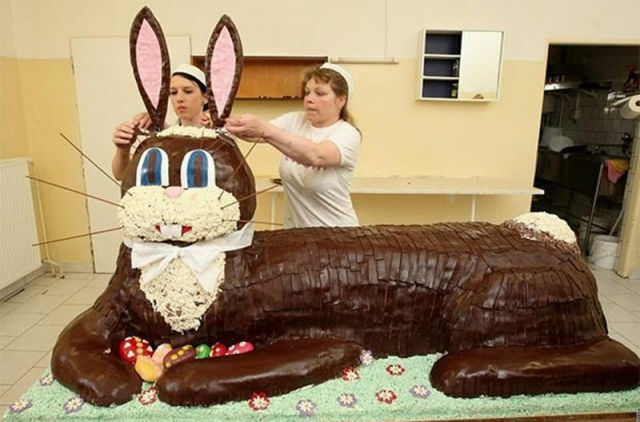 Two women placing ears on top of the head of an enormous chocolate Easter bunny. A teeny tiny tennis ball for a teeny tiny puppy. Although in keeping with the Easter theme it does look a little like a rabbit. This is a rabbit. No really. 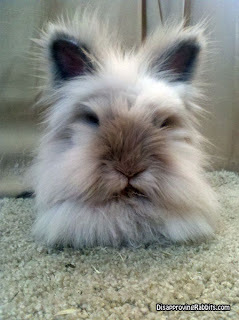 An extremely fluffy brown and grey rabbit facing the camera. This post is for things that have recently amused or delighted you. Think of it as a brain bleach repository. Share the images or links in comments and I will do my best to remember how admin magic works. ‹ A misunderstanding of IFLS? Whimsy: Mads doing her impression of an Egyptian goddess on a barge. Delight: My new dress from Secret Lentil clothing. Never bought a one-off dress before! Mindy, I don’t think wordpress.com lets admins do image magic, sorry. ooh, apparently it does, actually. Woot! I totally need an ice cream button.